When you consider appointing a Wastewater Engineering Firm, look to LTL Consultants first. LTL Consultants has been helping townships and municipal authorities solve engineering problems for fourteen (14) years. 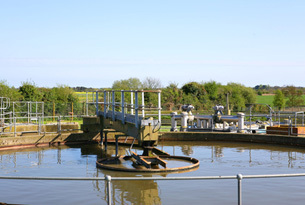 One of our specialties is providing complete wastewater engineering services. Most consulting firms that work for township and municipal authorities also work for developers. LTL does not. LTL is a consulting firm that specializes in municipal services. Our staff includes licensed professional engineers, wastewater planners, GIS Specialists, construction technicians, and CAD designers. More than twenty-five (25) municipalities and municipal authorities have entrusted their communities well being to LTL Consultants. If you would like to learn more about LTL Consultants or have questions about how LTL can serve your municipality, please contact Ed Latshaw, or John Weber, or Bradley Pflum at 1-888-987-8886.